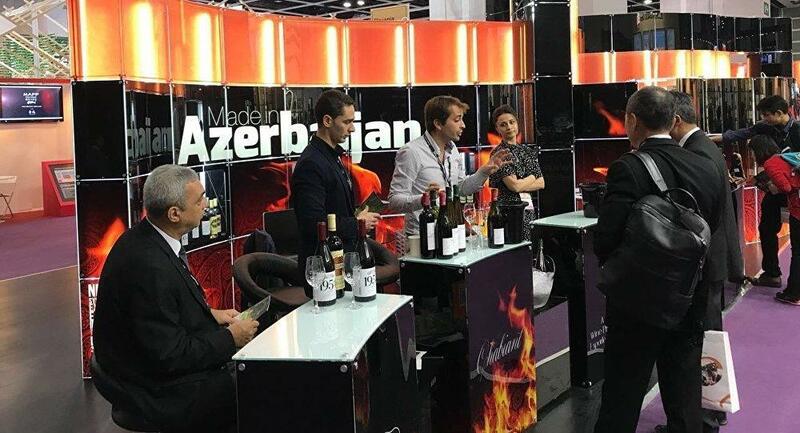 The "Whiskey Live Warsaw" festival has been held in the capital of Poland – Warsaw city, during which the Azerbaijani-made alcoholic beverages have been demonstrated at the "Made in Azerbaijan" stand, the Ministry of Economy said on October 25. The wines and various types of fruit vodkas, brandy, whiskey caused great interest among visitors. The Azerbaijani stand was the most visited stand during the festival. During the opening ceremony, the trade representative of Azerbaijan for Central European countries Nemat Nagdaliyev spoke out, emphasizing the importance of the "Whiskey Live Warsaw" exhibition in terms of popularization of Azerbaijani products and building links with potential buyers. The manufacturers of alcoholic beverages from various countries of the world exhibit their products, at the "Whiskey Live Warsaw" festival, which has been held in various countries since 2000. Azerbaijan attracts not only with its unusual history, but also with its magnificent nature, as well as with its unique national cuisine and Azerbaijani alcoholic drinks. Alcoholic drinks of Azerbaijan cause constant interest among gourmets and tourists who seek to purchase them as original souvenirs. At present, there is a stable demand for such products abroad, due to its distinctive character and excellent quality. For the manufacture of such products, Azerbaijani producers usually use not grain raw materials, but fruit and berry crops growing in the country. For example, vodka, which is very unusual in its flavor and aroma, is made from mulberry and cornel. This national Azerbaijani alcoholic drink, despite its impressive fortress - 45-50 percent, has practically no usual sharp notes in a bouquet, while exquisite fruit, herbal and spicy shades are generously presented in it. Vodka based on fruits in moderate quantities is an excellent means to stimulate digestion, therefore in Azerbaijan it is customary to taste it before the start of the meal. Wine is a wonderful Azerbaijani alcoholic drink, which, according to reputable experts, can compete with products of European winemakers. In the Land of Fire, they learned how to do it centuries ago, as evidenced by various archaeological finds. Since ancient times, Azerbaijan has been growing its own, national varieties of grapes, which are not found anywhere else in the world. The most famous among them are Mattress, Ag Shany, Merendi, and Bayanshir. Today the area of ​​vineyards in the country is more than 65,000 hectares, wine products are produced at 32 plants. The range of wines supplied from Azerbaijan includes ordinary, vintage and collectible red and white varieties. Their distinctive features are a pronounced national style, exquisite aroma and many-sided, velvety taste.